Have you ever eaten Venezuelan food? There are hundreds of Mexican restaurants in Los Angeles and a few Argentinean eateries. Peruvian restaurants are a popular destination right now, but where can you find authentic Venezuelan food? Recently, while in Beverly Hills, I discouvered the cuisine of Venezuela at Coupa Cafe. On a first visit, I was greeted by the owner, Camelia Coupal, a young and attractive woman. She guided me and my guests to a comfortable table. The café has a large outdoor patio in the front, however we admired the high California bow truss ceiling and tropical feeling inside, and opted to sit indoors. While inquiring about the tiny tiles on the flooring, Coupal shared that they were hand painted by a friend in Venezuela. Since I was inquisitive about her cafe, she asked if I would like a tour of her restaurant. In the back of the restaurant near the large bar, is a cozy sitting area with large pillows, a roaring fireplace and flat-screen television. Upstairs is a private room that looks down on the café. “We host book club lunches and business meetings up here,” Coupal said. The walls throughout the café are painted a warm yellow and a pretty sweet potato hue. “We have been in the restaurant business for over 30 years, we painted the walls ourselves,” Coupal said. 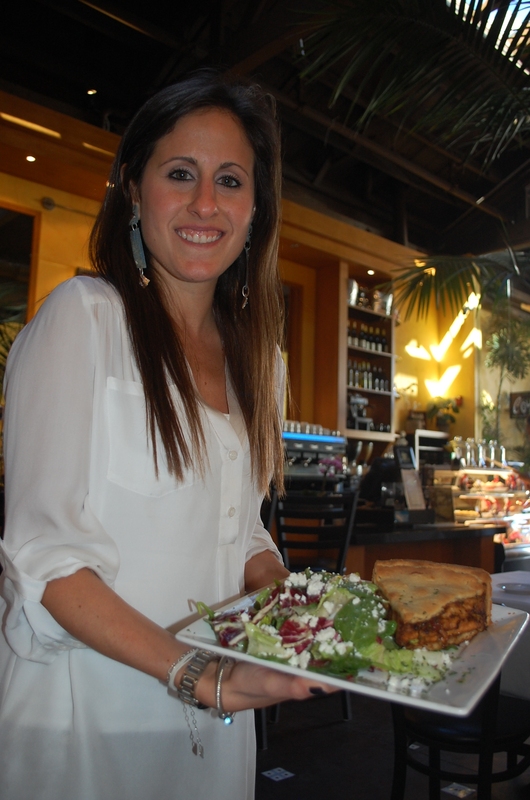 As a junior at Stanford University (her brother and sister are also Stanford alumni), Coupal and her family opened their first Coupa Café in Palo Alto, California. “We were next to the first Facebook office. Mark Zuckerberg came in often for our coffee and food,” Coupal said. Since it was a huge success in the area, they opened additional cafes on the Stanford campus. The family opened this location in Beverly Hills in 2006. “My mother and father met while attending UCLA and wanted to share the flavors of Venezuela with Los Angeles,” Coupal said. “We make a great cup of Venezuelan coffee,” Coupal added. Her father lives in Venezuela and works with a single estate coffee grower. The beans are handpicked; sun dried and then roasted in small batches to bring out the sweet and savory flavors. It’s vacuum-sealed and sent to the United States. 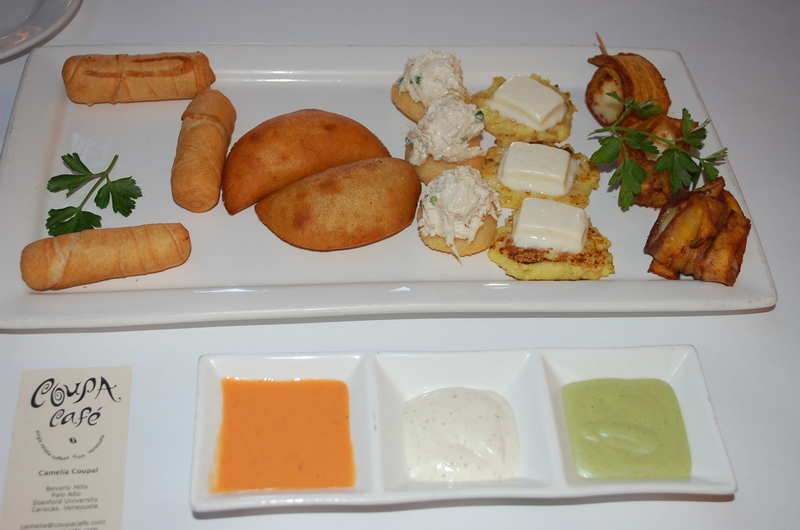 Read the rest of my review, courtesy of the Beverly Press via Coupa Cafe: Venezuelan Flavors in Beverly Hills. Published on March 8.